A German diplomat’s son convicted of murder in Virginia in a case that has attracted international attention will not be allowed to go back to his native country. Gov. 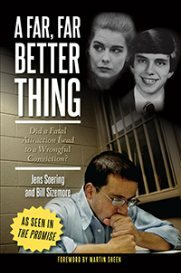 Terry McAuliffe on Tuesday denied a transfer petition from Jens Soering, who is serving two life sentences for a 1985 double murder. Soering was convicted in the killings of his then-girlfriend’s parents, Derek and Nancy Haysom of Bedford County, in central Virginia. In 2010, in one of his last acts as governor, Tim Kaine, a Democrat, agreed to allow Soering to transfer to a prison in Germany, where he would have been eligible for parole after two years. But the planned prisoner transfer was promptly halted by his successor, then-Gov. Bob McDonnell, a Republican. Earlier this year Soering wrote to McAuliffe, again asking for a transfer. The New Yorker has reported that officials in Germany, including Chancellor Angela Merkel, have raised the repatriation issue. 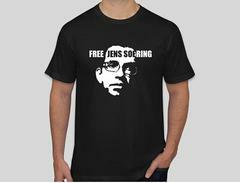 Soering has been eligible for parole for years in the United States, but his requests have always been rejected. There was bipartisan support for blocking his transfer in 2010, with lawmakers noting that the murders were particularly grisly. Prosecutors said they were killed because they disapproved of their daughter’s relationship with Soering. Soering and Elizabeth Haysom, his girlfriend when they attended the University of Virginia, fled and were arrested in England. Haysom agreed to return to Virginia, but Soering fought removal. A diplomatic agreement reduced the charges against him from capital murder, for which he could have been sentenced to death, to first-degree murder. Haysom is serving a 90-year sentence for her role in the killings. She testified against Soering, who insisted during his trial and since then that he is innocent. The Soering matter is resurfacing at a time when Kaine is often mentioned as a potential running mate for Democratic presidential hopeful Hillary Clinton. It also comes as Del. Rob Bell , R-Charlottesville, who led efforts to block the transfer in 2010, is seeking higher office. Bell invoked the case as he formally launched his campaign for attorney general last week. He said Attorney General Mark Herring, a Democrat who is seeking re-election, had not taken a public stand on Soering’s most recent effort to return to Germany. On Monday, Herring spokesman Michael Kelly said the attorney general wants Soering to remain behind bars in Virginia. Kelly also noted that as a state senator in 2010 Herring voted in favor of a Senate resolution opposing Soering’s transfer.